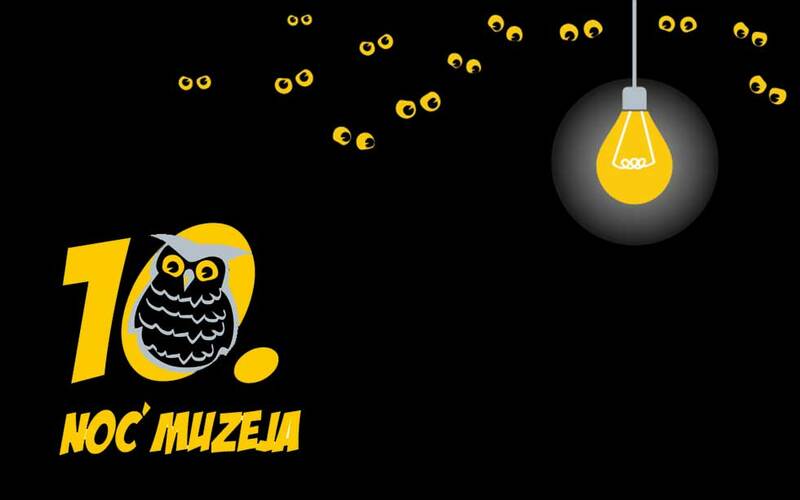 Croatian Museum Association is organizing the 10th Museum Night under the title "Inventions and Discoveries – Nikola Tesla, a universal mind", which will be held on 30th January 2015 from 18:00 to 01:00. Entrance to all events is free of charge. Theme of the 10th Museum Night is conceptually connected to last year's manifestation, with the intention to affirm the important names in Croatian culture, art and science, and to include them in programs of cultural-tourist itineraries. Croatian Museum Association organizes the 2015 Museum Night in association with Croatian museums, City of Zagreb, Technical Museum in Zagreb, Tesla's homeland in Lika – City of Gospid, Museum of Lika in Gospid, and the Memorial Centre "Nikola Tesla" in Smiljan – as main partners. In the Museum Night programmes, particular care is taken to emphasize the importance of potential development of cultural-tourist itineraries, based on the offers of cultural institutions through strong involvement of local population in Museum Night programmes, with emphasis on the development possibilities for Gospid, Lika and the entire region through Nikola Tesla, a brilliant inventor and a man of universal mind. Museums, archives, libraries, scientific and research centres, and educational and other institutions will support the 2015 Museum Night theme "Inventions and Discoveries – Nikola Tesla, a universal mind”. Considering the abundance of inventions and discoveries in sciences and arts in the holdings of cultural institutions, one can expect creative and attractive presentations that will attract numerous visitors. Success of Museum Night is also evident in the rising number of visitors each year. More than two million visitors have visited Croatian museums in the last nine years during the Museum Night, while last year a record number of visitors was recorded, 360,000, who visited more than 200 museums. It is important to note that other cultural institutions, such as archives and libraries; book-stores and clubs; as well as local communities organizing programmes in open public spaces, started participating in the Museum Night. We have confirmed the importance of cultural product as a real foundation for increasing the number of visitors to museums and galleries, and the enrichment of tourist offers. This national manifestation, with its attractive exhibitions, music and art performances (when all towns in Croatia become stages), represents the essential content in Croatian cultural and tourist offers. Museum Night is a manifestation that has considerable media presence, with several hundred television and radio reports, direct broadcast, daily news and web articles, as well as social networks. Since Croatia became a member of the European Union, the main goal of Museum Night is to act in accordance with cultural politics of European Union, emphasizing the creation of new audience through reaffirming culture, education, science and research, allowing new groups of users access to cultural products. Theme of the 2015 Museum Night "Inventions and Discoveries – Nikola Tesla, a universal mind“ is a foundation to further connect Croatian and European cultural institutions and to present the heritage and inventions of Nikola Tesla, demonstrating once again his universal significance.